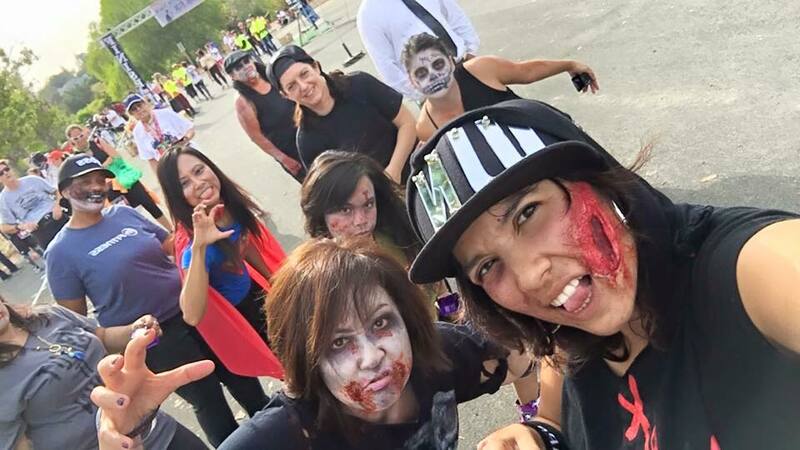 Dream Team Events and Jiminy Stitch-It have summoned Zombies, and the living, to participate in this event to help us raise funds for the San Jose Parks Foundation! 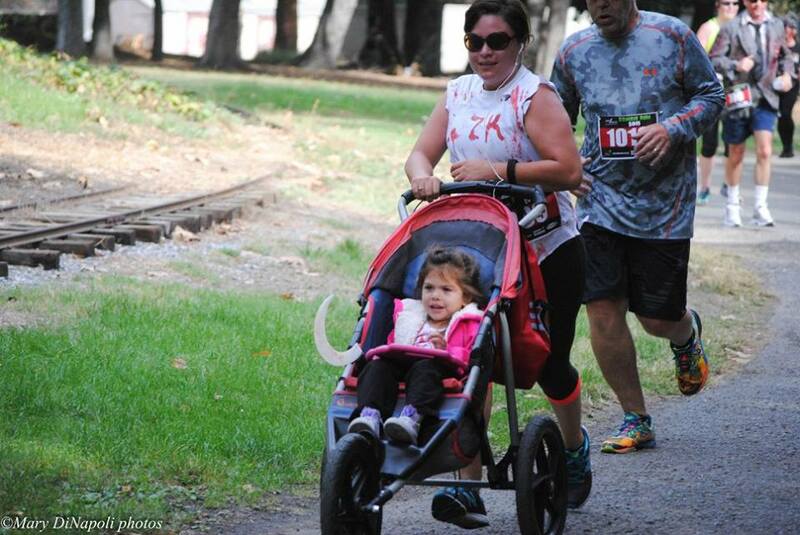 This is a 5K race (well, it’s really a “Fun Run” but race sounds way cooler). 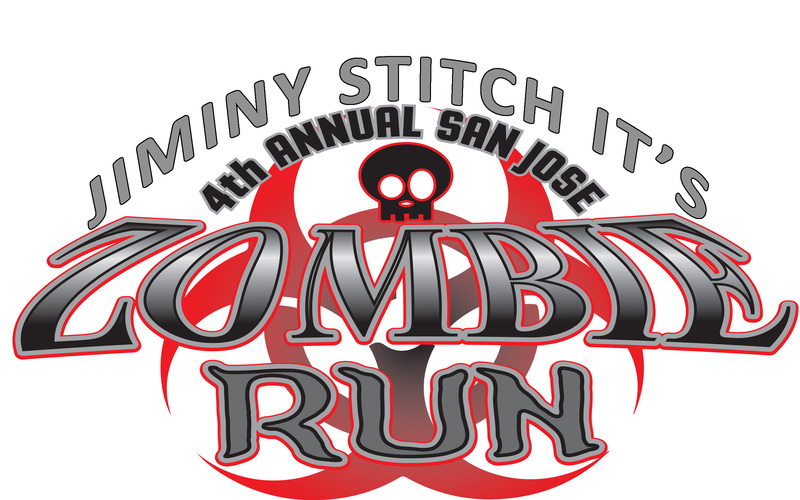 For you Zombies that have been underground for a while, 5K is 3.1 miles. You can Run it or Walk it! Swag?! You bet….T-Shirts and medals for all participants. Trophies for Zombie contest winners and trophies for selected finish line finishers, and team trophies. 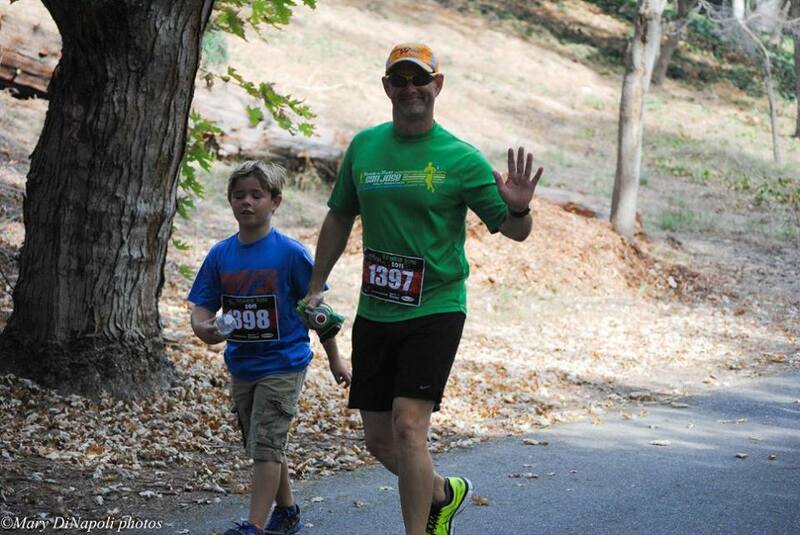 Packet Pick-up is October 25 at the Campbell Sports Basment from noon to 7Pm. 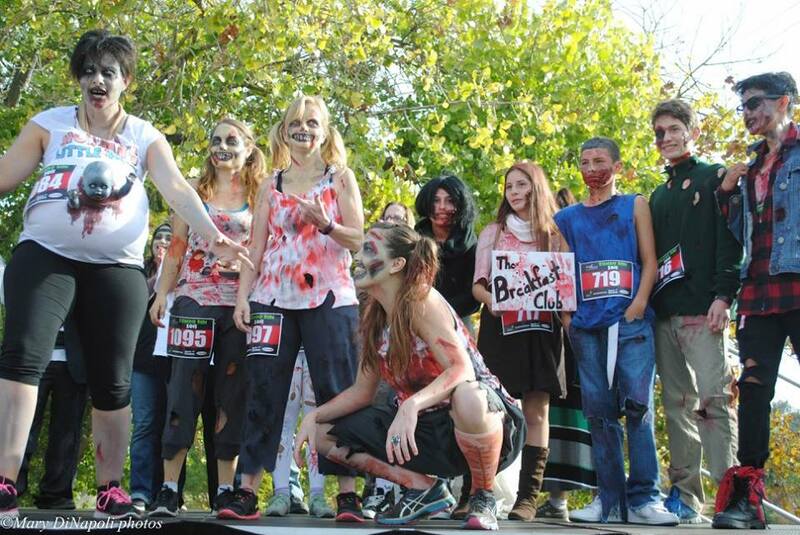 Or at the morning of the Zombie Run. Leave your pets at home. 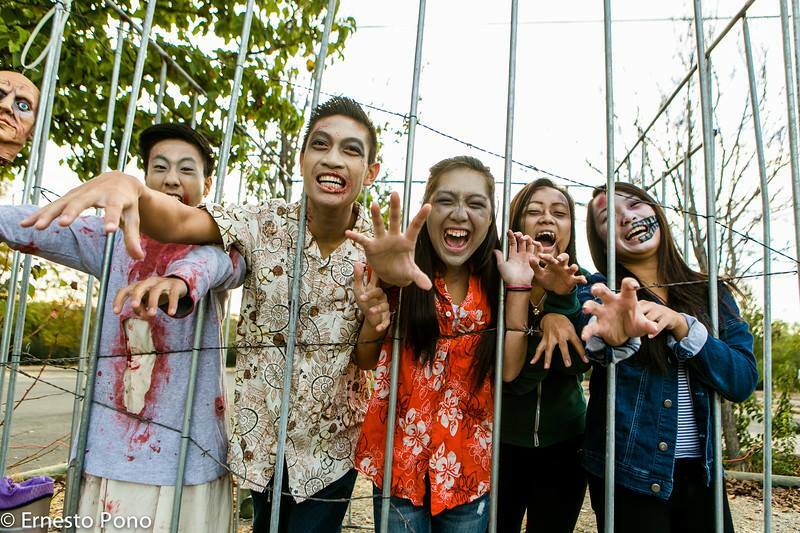 Pets and Zombies don’t always do well together. We will have a bike corral and a sweat check at no cost for all participants. First and foremost, Have fun! 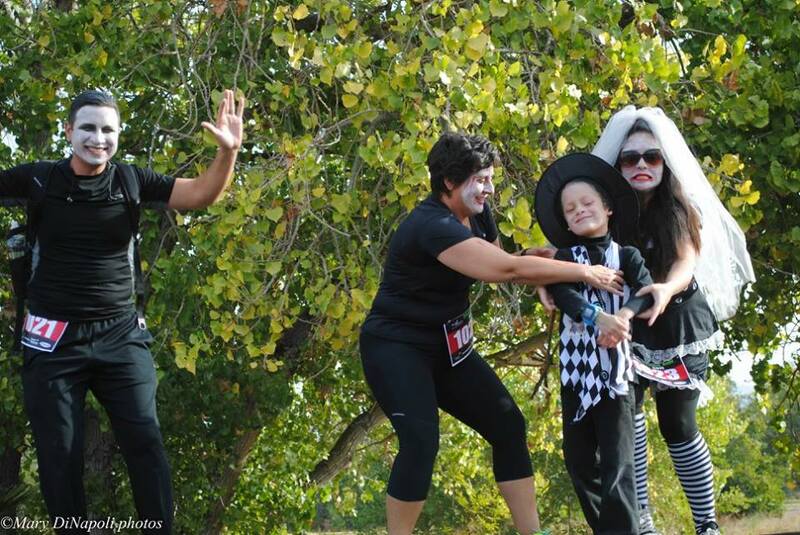 You can Run, Walk, or even Crawl if ya want! 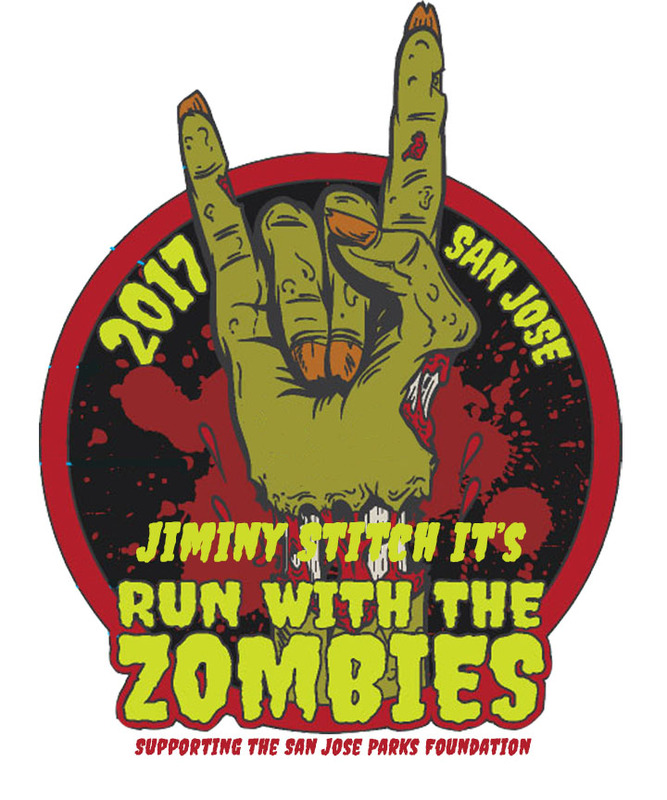 This is a non-timed family friendly fun run so there is no pressure here and no one is being chased by Zombies… just have fun! 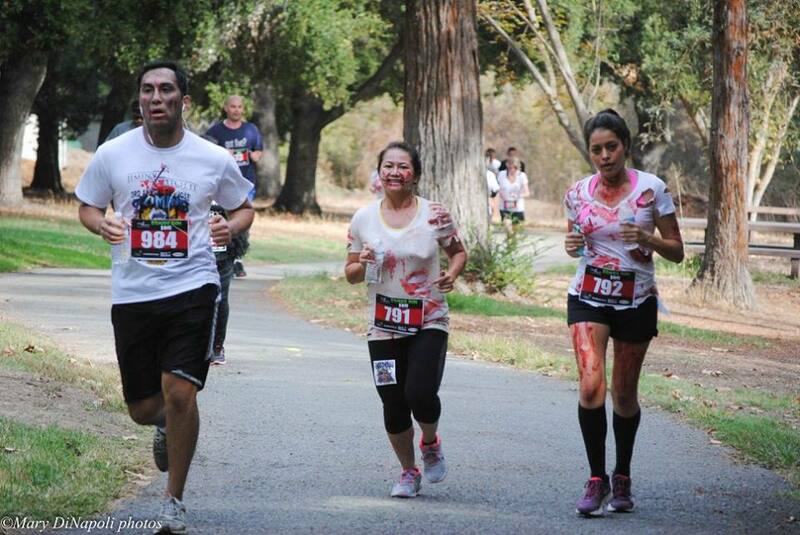 (hence the name “Run With” the zombies). 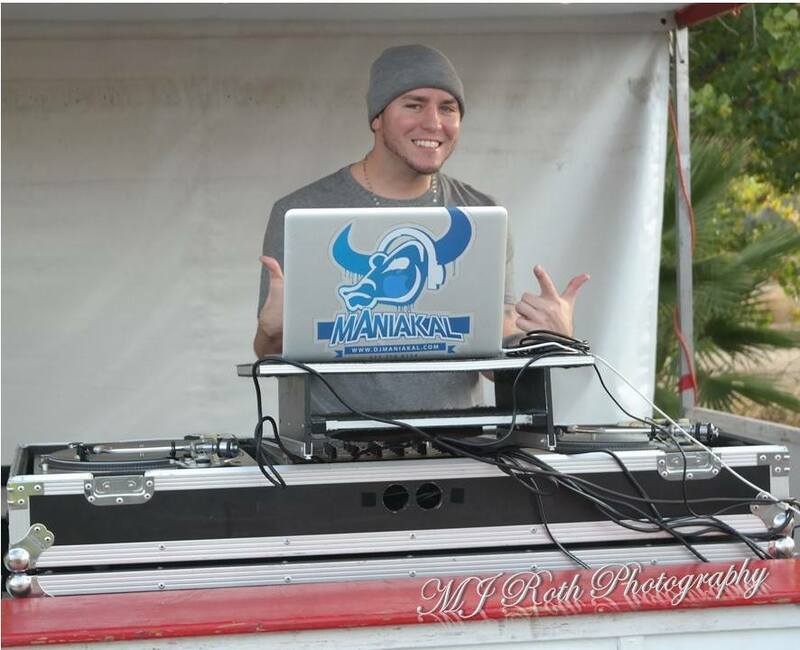 Where: Kelley Park 1300 Senter rd. San Jose. -6:00 am: Gates, Make-Up, Sign-Ins open. If you already picked up your number, then you don’t need to go through sign-ins. Just hang at the start. -8:40 U-Jam warms ya up with some cool dancing! -99.9% level with a couple of slight inclines. -The first 1.6 miles is in the streets. We are mandated to reopen the streets at 10am. Don’t worry that’s a whole hour from the start. That’s plenty of time even for the slowest lollygagging stumbling Zombie. Due to multiple events going on that day Parking is at a premium. 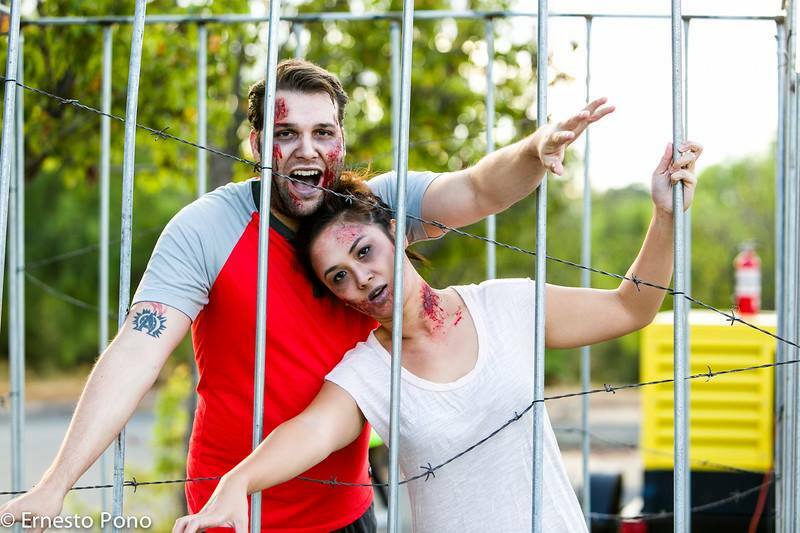 In the past we have tied to keep the parking free but this year our only option for official Zombie Run Parking is at the Happy Hallow Parking lot 1300 senter rd. The good news is it’s closer the start line (about a 10 min walk). The not so good news is the Parks department charges $10. We encourage public transportation or ride your bike. There will be a free Bike corral and a free coat check.